Mark Wadsworth: Popular delusions and 18 years on from the dotcom crash, like clockwork or coincidence? Popular delusions and 18 years on from the dotcom crash, like clockwork or coincidence? 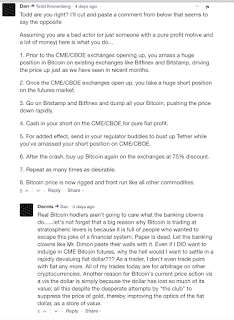 "Even if I DID want to indulge in CME Bitcoin futures, why the hell would I want to settle in a rapidly devaluing fiat dollar??? As a trader, I don't even trade pairs with fiat any more. All of my trades today are for arbitrage on other cryptocurrencies." 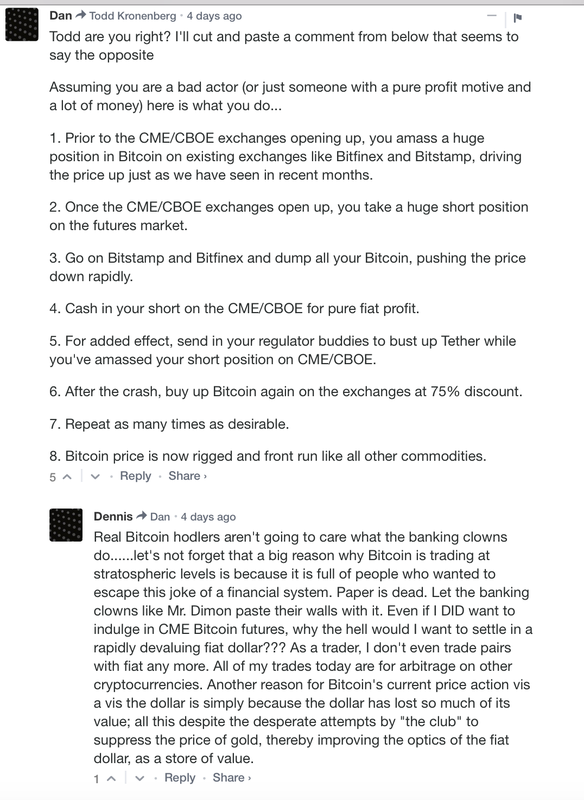 To Dennis it doesn't matter if bitcoin is being pumped and dumped, because Dennis never wants to see his 'fiat' again anyway. He's made his mind up it's worthless and he wants to keep his coins and tokens thank you very much. 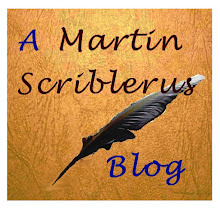 I wanted to write something clever and witty, but I think I'll just repeat some of the above comments word for word. At this level of irony and lack of self-awareness there's really nothing much I can add. 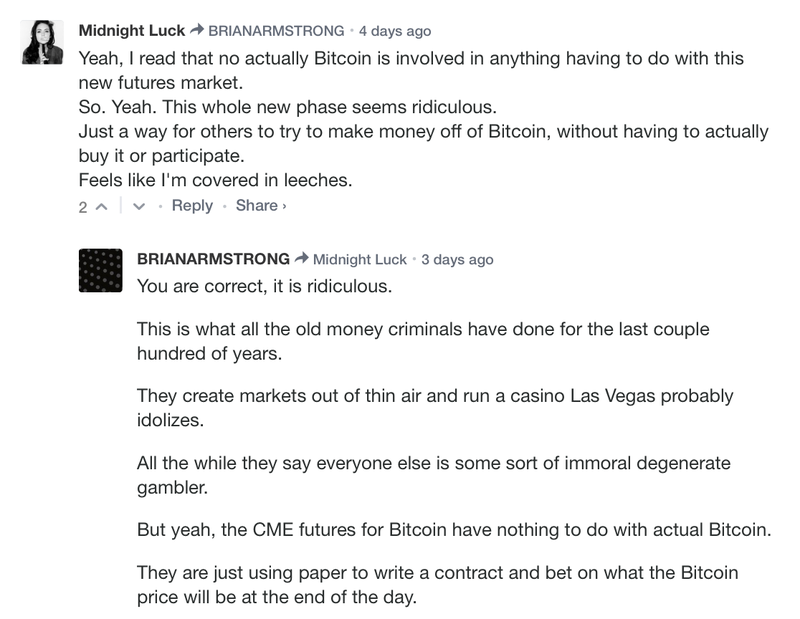 "Yeah, I read that no actually Bitcoin is involved in anything having to do with this new futures market. So. Yeah. This whole new phase seems ridiculous." "They create markets out of thin air and run a casino Las Vegas probably idolizes. All the while they say everyone else is some sort of immoral degenerate gambler. 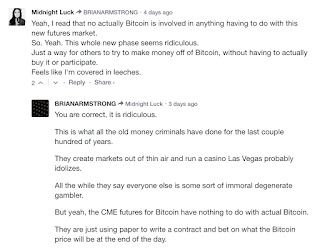 But yeah, the CME futures for Bitcoin have nothing to do with actual Bitcoin." Somebody gave me a bitcoin a few years ago. I wish I knew how to sell it. Have you verified you still have one? Mark, I agree with your post. I've seen some total tripe on twitter from bitcoin supporters. I do think it's interesting though. Wall St has a problem attracting millenial savings. A big bitcoin washout could scare them back into the paddock. My take on bitcoin: you don't have to pay your taxes in it. This is what gives all other currencies value. Mike W, thanks, it was front page of the Times the other day, that's got to be a top signal hasn't it? But I would never dare short it. Ben F, I'm not sure I agree with the premise that the taxman accepting them is what gives a currency value. Ultimately I think it's all down to trust and belief. Of course the government saying "this is legal tender" helps give people the reasonable belief that 'fiat' money is worth something. While there are plenty of people who appear to believe that cryptocurrencies are 'the future', I think most participants are buying bitcoin hoping doing so will simply increase their purchasing power in the future. Personally I suspect some kind of massive scam is being set up. ETFs will probably appear supported by BTC futures and derivates firms will start offering BTC futures cfds and spread bets. This will provide the demand from the bulls allowing the major hoarders of BTC to sell enough futures to make it worthwhile dumping their BTC on the exchanges. I wouldn't be surprised if the price of BTC went up to 6 or even 7 figures before crashing and eventually being banned. In hindsight it will look like a massive fraud and when the tide goes out we'll see who was swimming without trunks.